Not really an italian soda without the cream, but refreshing just the same. 1 ounce flavored syrup Toriani, DaVinci, etc. 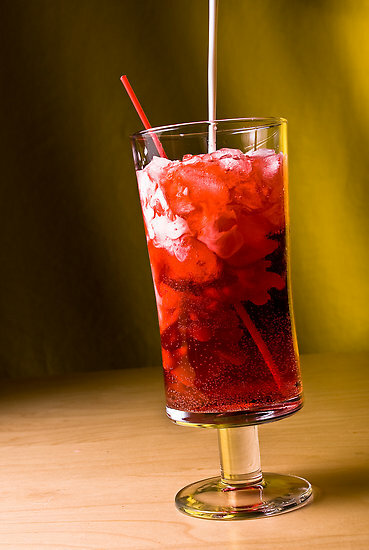 Fill tall glass with ice, add syrup and fill with sparkling water, stir and sip!